You have landed at the infopage for the IMParty 9 (also known as IMP112). IMParty is back yet again, totally expected for everyone. Even the date it takes place feels familiar. In other words, it's time for the event you all have been looking forward to for half a year. IMPartys are now a tradition. Even though the partyhouse was recently changed (changed for IMP8) the normal activites lives on. There wouldn't be a real IMParty without the crazy guys from NoCrew, DHS, NewBeat, Aggression etc (not to forget IMPonance of course :-)) neither would it feel right without hearing the now famous "det ar bara pengar" comments from RobertK. is a fresh place, with rooms for computers, an entrance hall for eating and poker, sleeping room and no less than four showers. 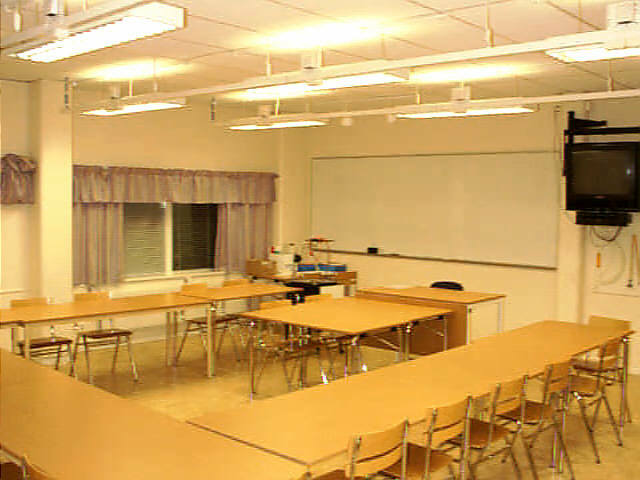 The computer rooms have tp-ethernet outlets for Internet connection. For machines without ethernet possibility we'll try to setup a terminal server for ppp and terminal connections. As for the IMParty 8, the results from the current Online-Compo (at dhs.atari.org) will be annouced in a flashy way (ehhm..), and if the winner is present, there will be a price ceremony as well! Maybe we can arrange a competition of some kind during the party as well, there are talk going around about a "brannbolls" tournament. More about this later on! is quite easy. The town (village) IMP is at is very small, and might not even be marked out on larger scale maps. 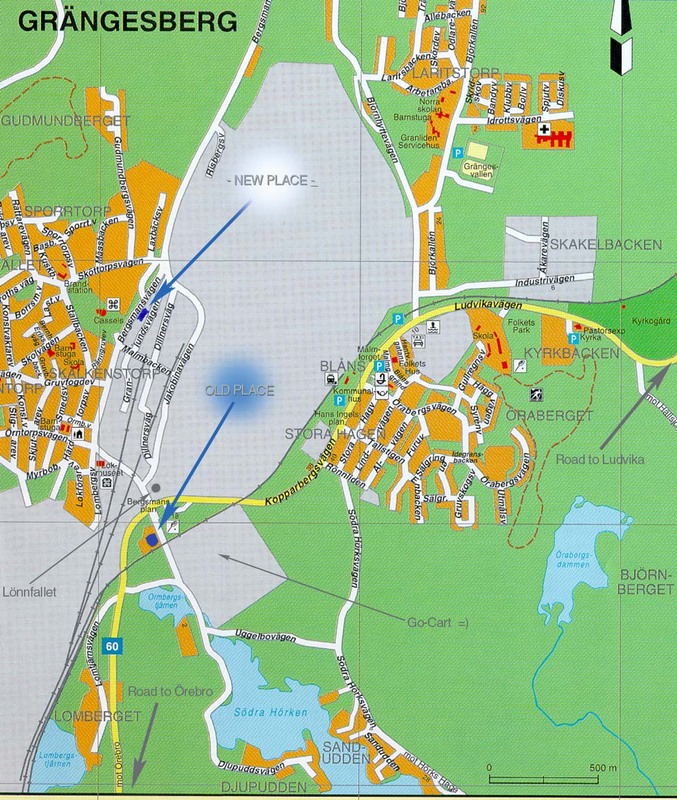 Try to find the town "Ludvika" approx 200km north/west of Stockholm. Grangesberg is located about 15km south of Ludvika. There are buses and trains stopping in Grangesberg. The airport is an hour away by car. By downloading the Grangesberg map beside here, you should be able to find the partyhouse quite easily. The house itself is blue and located at the right side of the road. It's a bit "below" the road heightwise. If you still have trouble finding the place on your maps, or find no travelmethod suitable. Contact some of us (address follows) and we'll try to help you out. Entrance, shops, parking, eating places. Event hough Grangesberg is quite small, it has three pizza places, a few burger places (one combined pizza/burger/normal food is located at walking-distance from the party). And for other things like barbeque food (no summer IMP without barbeque!) can be obtained from two supermarkets in the town. Entrance is set as low as possible, depending how many visitors show up the entrace might vary a bit. But shouldn't be much different from earlier years. Parking is done outside the partyhouse, and is free. Not listed? Mail ae@atari.org and book a place!